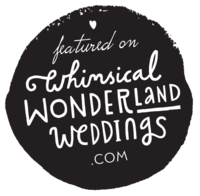 For many couples, planning a wedding is the single most expensive, logistically complex, emotionally delicate, and largest scale project they have ever had the joy of undertaking together. Sitting down and understanding the costs involved is a process as scary as it is vague – even for those who feel they know their priorities, and have a sense of how they will choose to allocate their precious budget. When the quotes from suppliers start coming in, the numbers are BIG – and, inevitably, the figures feel empty, unjustified, and ambiguous, for the simple reason that most couples don’t have a reference point or a solid vision of what that money is actually paying for. And why would they? You, beautiful newly engaged couple, have never done this before, and the learning curve you’re being expected to cope with is nearly vertical. The truth is that, although a few large corporations do exist, they are the exception to the rule – and most businesses that you will interact with while planning your wedding are actually small teams of incredibly talented people who have chosen this industry out of love. They move mountains while working out of their guest bedrooms, and work so hard and so efficiently that you’re left feeling like you have an army at your service. Some of these one-woman or one-man companies do grow, thanks to you, and carefully scale and build in order to provide more services to more people, while striving fiercely to be authentic and true to their original values. The preconception that suppliers unfairly and haphazardly pluck numbers out of the air and add a “premium” to any booking that is related to a wedding, is a very sad and toxic one, and does a great injustice to all these self-employed time-wizards whom – were they frank about the cost and effort that actually goes into each project and each couple – are barely making minimum wage, and sometimes even take a loss as an investment in the growth of their business. However, it’s a preconception that hasn’t arisen from malice, but more likely a lack of education and clarity. 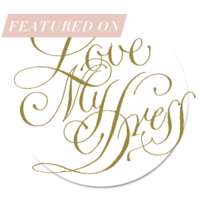 As many wedding professionals and bloggers have done before me (like this great article on Love my Dress from a few years ago), I feel strongly about doing my part to help expose the hidden costs that wedding suppliers account for when calculating pricing for their products and services, as well as giving these business owners the chance to provide some honest feedback and realistic insight about the value, not just the cost, of the work they do, and love doing. This may allow you, newly engaged couple, to more sincerely understand, and perhaps even enjoy, the process of adding cost to your wedding – when you choose to do so. So, in the hopes of addressing this a little, and having the opportunity to share with you all the magic that happens behind the scenes, I’ve asked some of my lovely colleagues in the wedding industry to tell me a bit more about how they work out their pricing, and what expenses their fees are designed to cover. 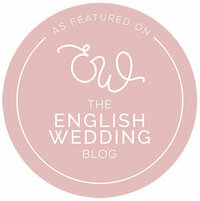 Below we have thoughts from wedding planners, photographers, cake makers, stationers, entertainment companies, celebrants, florists, bridalwear designers, photobooth companies, and make-up artists – so feel free to jump to the section that interests you most, or browse the full article for an overview of what goes on backstage. This isn’t (yet!) 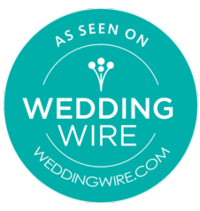 an exhaustive list and breakdown of all the suppliers that are involved in weddings – you might have a videographer, a toastmaster, a classic car company, and many more – but it’s a start to the conversation, and I hope it helps to give you a glimpse into the inner workings of these wedding businesses. Also, please keep in mind that these are just examples of particular businesses, and the figures and framework will of course vary case by case – there are so many variables that affect costs, like geographical location for example, which means that these descriptions do not apply to everyone in the same way. 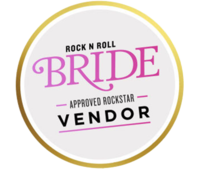 Before I go on – I will say that, of course, like in every industry, some wedding suppliers do over charge for their services. But I think it’s very important to understand that they are not the majority, they are not tolerated or encouraged, and they should not have the power to tarnish the hundreds and thousands of talented, committed, and force-of-nature people who work very hard to go above and beyond for their clients. These black sheep should not engender the widespread belief that working in weddings is an easy and quick way to make money. Most wedding suppliers, in truth, don’t even charge what they’re worth. Let’s start with wedding planning, which is my own field and – in many ways – a role where it is quite difficult to quantify value until you’ve experienced it first hand, or in hindsight. There are of course tangible expenses that factor into our pricing which I’ll go into below, but ultimately valuing our job means valuing peace of mind, time, and the removal of stress. For those of you that may not have come across wedding planners’ fee structures before, the way they typically work is as follows: a “Full plan” (i.e. helping you plan the A-Z of the whole wedding, from engagement to wedding day) is usually quoted as a percentage of the overall wedding budget (typically between 10 – 15%), but will also have a minimum fee. So a website might say “12.5% of the budget, minimum fee applies” – what this means is that the fee will equal 12.5% of the budget until the monetary value of this percentage dips below the minimum fee, at which point the minimum fee will apply. 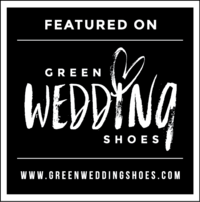 The budget that the percentage is applied to is generally the total organizational budget spend of the wedding, excluding the apparel, honeymoon, and the planner and/or stylist fee. The minimum fee structure may seem to set a budget below which it no longer becomes “cost effective” to hire a planner; the reason for this fee structure is that, even on lower budgets, wedding planners still spend between 200 – 400 hours organising every logistical and aesthetic element of the wedding (so a minimum fee of £4000 means earning between £10 and £20 an hour depending on complexity). A set fee may be completely inadequate, or in some cases even excessive, while basing the fee on the budget means there is total transparency. Higher budgets usually translate in increased complexity, larger teams, longer weddings (like multiple-day events), and a need for more experience, confidence, and competency. A planner’s fees for other services – like a “Partial plan” for a certain number of months, supplier searches, ad hoc consultancy, styling, on-the-day coordination, and so on – are usually set as fixed fees, rather than as a percentage of the budget. As much as we all adore our job, most of us wedding planners run our business full-time, so our fee is such that we can offer you the time and support you need, and still remain in business while paying taxes, covering business and travel expenses, paying for advertising, maintaining an online presence, getting involved in projects to increase business visibility, having the necessary insurance, paying for membership to various professional associations, receiving ongoing training, and running a physical office, among other things. The skills needed to manage large teams seamlessly, to create unique design concepts, and to support couples in all the legal, financial, and logistical elements involved in a wedding are honed over time, and this increased experience – and therefore higher demand – will also be reflected in a planner’s fees. 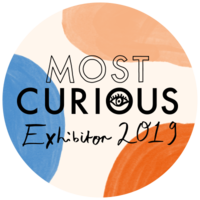 Moreover, planners will invest a significant portion of their time towards creating and nurturing relationships with the best and most trusted suppliers and venues in the industry, in order to give couples personal recommendations, vetted shortlists, and all-over peace of mind. 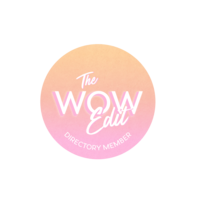 My friend and colleague Keenda Sisouphanh, from Events by Keenda, shared some additional thoughts to consider when evaluating the “worth” of a wedding planner. 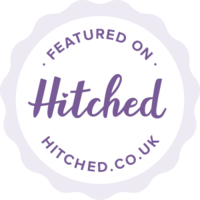 For some more information on wedding planner pricing, and on the topic of commission, do have a browse through my page of FAQs. 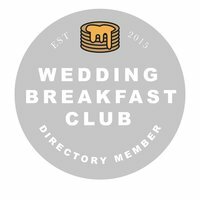 Lex Fleming is a wedding photographer with an awesomely alternative, fun, non-traditional style, working in London, Kent, Essex and beyond – and someone I’ve had the joy of meeting through the London Wedding Breakfast Club. She explained to me that many of her clients used to come to her with the assumption that the round figure of £1000 is the default for a wedding photographer. Somehow, that figure has “stuck” since the early 90s, all the while inflation and the cost of living have of course increased over the last 3 decades. Of course, prices vary widely dependent on a variety of factors, but these days a good wedding photographer will charge on average between £1500 and £2500 (though “good” is very subjective of course, as everyone has different taste!). In addition to time spent photographing, culling, editing, and preparing the images, photographers also need their prices to cover expenses like purchasing new cameras, lenses, tripods, and much more, maintenance of all this costly kit, subscriptions to photo and editing software, ongoing learning and training, insurance, powerful computers needed for editing, as well as all the additional expenses that arise from working from home. More experienced photographers charge more, just as artists that have been honing a skill for many years would do: over time, a photographer’s style and quality is refined, with greater attention to detail, a clearer vision for each photograph, more artful composition of every image, increased competency dealing with varying degrees of light, more seamless style consistency, greater confidence and people-facing professionalism, and increasingly efficient processes. The time that has gone into learning this craft is also entwined in the threads of the price of each package, and this should by no means be belittled. Jo Watkinson, from Dandelion Bakery in Hertfordshire, makes fabulous cakes, cupcakes, biscuits, and patisserie for all celebrations. Her brand ethos is rooted in offering her clients bespoke, natural, and delicious creations, and this affect many of the business decisions she chooses to make – even if that means not using preservatives and E-numbers, which supermarkets will often do to keep their prices down. Jo tells me that even the most basic of cakes takes 8-10 hours to bake, fill and decorate, with the average wedding cake taking at least 22 hours of work from initial contact for a quote through to delivery and set up. More complex designs can take 40+ hours work to bake and decorate over the space of multiple weeks, with details like sugar roses alone taking up 12+ hours. A percentage of the price of equipment. Cake tins do wear out eventually! The cost of my IT systems and support, plus a decent phone, laptop and so on. It’s also important to keep in mind that certain ingredients can ramp up costs exponentially, and are prey to the fluctuations in supply and demand. Jo says that gold leaf for example is often considered a ‘cheap’ way of adding glamour to a cake – but purchasing enough edible gold leaf to cover an 8 inch cake costs about £50 at trade prices, and carefully layering it on the cake is an extremely time-intensive process. Katy Davies from Katy Bakey tells me that the price of butter has doubled over the course of 2017 (due to supply being hit by a poor harvest and falling exports globally, while demand from markets like China is rising) and vanilla now costs more than silver (due to a number of bad harvests affected by cyclones in Madagascar). Katie Lake Volcof, from Malarkey Cakes, bakes beautifully modern and unique wedding cakes in London – and has a similar story to tell. She says her average wedding cake takes her three days to bake and decorate (though of course simpler semi naked or buttercream cakes can be quicker). The ‘three day rule’ she’s given me doesn’t even include correspondence and meetings with clients, cake sketching and planning (Katie provides all her clients with a digital mock-up to make sure they love the design), equipment prep, and 1-hr tasting sessions that she runs for her couples during evenings and weekends. Gemma Hales, from Iris & Co Floral Design, is a creative florist based on London offering bespoke floral design for weddings, events, and photoshoots – and someone I’m very excited to be working with later this month. Florists creating installations and arrangements for weddings work very long hours, often with extremely unsociable starts (at dawn at the flower market) and finishes (at midnight or 1am for clear up). For wedding flower design, logistics can actually take up as much as half of the total time, and is much more manual labor than most people realise – mostly because the end result looks so graceful and effortless, and all the hard work happens behind the scenes before or after the wedding. There is also of course the work that goes into each booking before the wedding day itself even comes along – Amanda Rousell, who makes gorgeous seasonal and ethical floral creations from her London studio at Amanda Jane Flowers, kindly sheds a bit more light on this for us. Flowers themselves have varying costs, and an experienced florist will be able to give you guidance on which flowers are available, seasonal, and cost effective, while still remaining true to your vision and style. 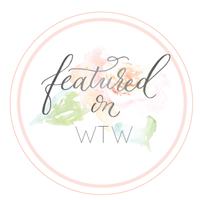 The blooms that make the rounds on Instagram, Pinterest, and wedding magazines tend to be rarer and more expensive flowers, as they will often not be the “standard” variety and rather be imported from Italy or Japan, or grown in small numbers at a farm. If you ask your florist for a flower wall, floral arch, extra-large flower urns, or hanging flower installations, be prepared for this to require a much larger budget. For fine-art inspired, lush, varied, high-end flowers carefully arranged into striking arrangements, a realistic budget allocation is 10 – 25% of the overall budget. 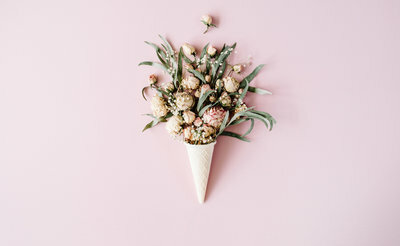 Worth noting also that certain fresh flowers are sold to florists in certain set quantities, so if your brief includes just a few of a certain bloom, it may be that your florist will need to invest in the “minimum” size bunch. More delicate or fragile flowers may also greatly increase the overall cost and labour needed. On top of labour costs, the value of your floral designer’s skill and expertise, and the cost of raw goods, florists will calculate their pricing to also cover the expenses of running their studio, whether it’s at home or a separate workshop. This means the figure you see also covers the cost of overheads of the shop and staff, insurance, tax, professional training, advertising and marketing materials, IT costs, portfolio maintenance to show prospective clients what they can create, business banking costs, the running cost of a van or large car to be able to deliver, cleaning and maintenance of tools, attending fairs (very costly for florists due to both the cost of stands and that of perishable flowers), ongoing professional development, and a small margin of profit in order to keep the business running. Pri Kruijen, from London Wedding Stationery, crafts modern, luxury designs inspired by interior design, style, fashion, and travel. Pri tells me that stationers’ costs need to reflect printing costs, which vary greatly depending on quantity and technique, but are primarily a reflection of the time needed to create a bespoke suite. Platforms like Pinterest and Instagram are fantastic for inspiration, but can be misleading when it comes to the complexity of the outcome shown. Gold foil and letterpress printing, for example, are very popular design elements at the moment, but both require custom plates to be made-to-order to produce each design and each colour. Calligraphy is carefully done by hand using a special pen and ink, as are wax seals, handmade paper, and illustrated maps. These kind of hand-finished touches are what make wedding stationery breathtakingly beautiful, completely bespoke to you, and a keepsake that you and your loved ones will treasure for years to come. Of course, costs will vary a lot depending on whether you’re opting for pre-made designs or custom work, and beautiful options exists in both price ranges. Invitation design studios will have different material and overhead costs than mass-production frameworks, so if you are after something really unique and hand-crafted, do keep this in mind. Miao Chen, from Aneberry, designs made-to-measure bridalwear from her beautiful London showroom – and kindly shared some really insightful thoughts with me. So expenses that designers incur include the cost of advertising the designer in magazines and online, the cost of materials, the cost of manufacture (labour, factory upkeep, profit for studio sustainability), shipment from overseas factory to the UK and then delivery to shop, and cost of premises and staff. Intricate beading or embroidery done by hand will be more much time consuming than if sewn by machine – so the intricacy of a wedding dress design is one of the many factors that contributes to its cost, as it will require higher skill, more training, and more experience. The gown material itself can also vary greatly in quality and price of course; for example, fabric constructed of synthetic fibers is much cheaper than one made of real silk. 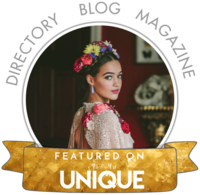 Felicity Westmacott now creates stunning bespoke bridal-wear, but started out with a small shop in Reigate as their alteration seamstress, while still at university, which gave her hands-on insight into how small retail profits work in this industry. She’s very kindly broken down for us an example of where the money paid for a mid range £1,500 designer dress might end up along the chain of supply. 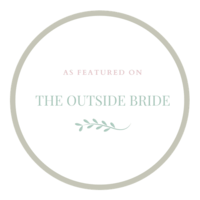 For more thoughts on this, have a look at Felicity’s full blog post on the topic of bridal boutique expenses here. In addition to being a fabulous make-up artist, Kayleigh Keen from KayleighK MUA is also a dear friend of mine, and an accomplice of many of the most fun and creative projects I’m involved in at the moment. When asked about her expenses and pricing, she shared some expert tips about the quality of the products that she invests in. 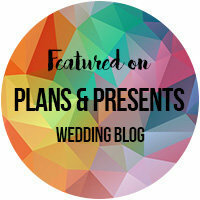 In addition to the cost of materials and products, there is of course all the time that goes into preparing for a wedding – like creating personalised moodboards, drawing face-charts, cleaning brushes and sanitising the kit – and the admin involved in being a financially sustainable and responsive self-employed business owner with a strong online presence. Working from home means that her package prices need to cover all the usual overheads, as well as tax, insurance, pension, and ongoing training. Amy Park, from I Do Celebrancy, is an ex-lawyer and now independent Professional Celebrant working in London and around the UK. 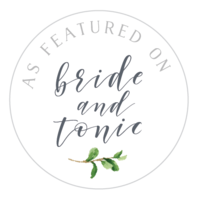 She very rightly highlights that the role of a celebrant can be at the very heart of the personal and ‘spiritual’ (in whichever form) elements of a wedding day, and one that should be given a lot of consideration when shopping around. Then there are the usual business expenses for a self-employed business owner, such as insurance, accountancy, website and email, marketing, stationery, ongoing training and development (for example training with the Fellowship of Professional Celebrants), investment in equipment, software, internet, electricity, income tax, pension, and transport. Celebrants in the UK charge on average anywhere from £400 up to £700 or more to conduct a wedding ceremony, and there is very little profit left once the expenses above are covered. Jon Beck, from RedLine DJs, is a musician and business owner passionate about providing modern, stylish, and bespoke music options. When it comes to live bands, the price you see is the worth of hiring a professional act – which includes a salary for each of the experienced band members, travel time and expenses, admin time for booking and preparing for each event, purchase and maintenance of all the equipment, taxes, comprehensive insurance, marketing and advertising, rental of rehearsal spaces, and IT costs. Steve Burton, from SmartpicsUK, hires out some absolutely lovely, premium, vintage photobooths – and has kindly shed some light for us on the hidden costs involved in running a photobooth. Other costs include software and IT expenses for maintaining password protected galleries for each client, travel costs, specialist photo paper costs, maintenance of equipment, long set-up and clear out times, “idle” time between sections of an event, admin time for managing customer enquiries, and marketing – Steve tells me they spend thousands of pounds a year via Google, wedding directories, and wedding fairs. I hope to write a separate piece on the challenges and costs involved in running a wedding venue – but didn’t want to write today’s post without at least a mention. The price a venue will quote for use of their spaces covers, among other things, support throughout the planning process, running costs (like include garden maintenance, housekeeping, and upkeep of rooms and bedrooms), constant maintenance (especially for those beautiful listed buildings we all adore), staff costs, IT costs, advertising costs, admin time and accountancy costs, taxes, insurance, vehicles, equipment, loans, and much more. Venue owners and managers often work seven-day weeks with little off time, all year, with a lot of hard work happening before and after events, as well as during. I hope this piece has helped explain a little more clearly why weddings are “expensive” and why suppliers charge what they do. The hidden costs they battle every day leave very little room, for most wedding business owners, for profit – which I use here to mean the salary we pay ourselves to cover mortgages, bills, food, family costs, health costs, and everything else that makes up personal life. For most of us, these are not hobbies, and “making a living” sustainably from them requires very strict, strategic, and forward-thinking pricing. As alluded in many of the examples above, this calculation is a mathematical exercise not for the faint-hearted. The primary difficulty is that we try to time how long tasks take us, in order to charge accordingly, but in fact the non-billable hours spent working ON our business, as well as IN our business, are often not even taken into account. In addition to honing the job we’ve chosen – be it photographer, florist, or any other – we also need to learn to at least passably be (and find time to be) our own accountant, operations manager, brand stylist, secretary, PR manager, website developer, marketing manager, content creator, lawyer, graphic designer, and HR executive telling ourselves we’re supposed to take holiday. That’s a lot of hats. Outsourcing any of these jobs would eat into that hard-earned small margin of profit of the solopreneur, who is often so deeply immersed in his/her own company that delegation introduces a risk of loss of authenticity and quality. All of this, and much more, is worthwhile of course, because we all adore the stories, people, and celebrations whose journeys we join. We give our time and effort happily, generously, and wholeheartedly, so – unsurprisingly now perhaps – accusations of “money-grabbing” do hit hard. Hopefully with honesty and clarity, we can all understand each other better, and the value of our costs. To discuss, brainstorm, or say hello, get in touch! Fantastic article and so true about the perception of costs, we’ve all heard people say something along the lines of “when you mention it’s a wedding, they double the cost”. 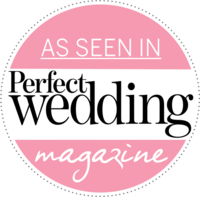 At Wedding Day Angel, we organise wedding fairs, which is another expensive outlay that suppliers have to pay for, and that’s before they even meet engaged couples. Not only that, when suppliers attend a fair, they are spending a day or 2 of their time, plus the cost for staff, and setup and the costs for samples etc. 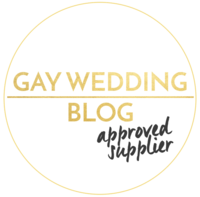 We’ve share this on Facebook, so hopefully this article will help more engaged couples realise all of the time and costs that are incurred for their suppliers.